Before trivia on a Monday night, I often pickup my friend Jack after work to drive him to the pub. 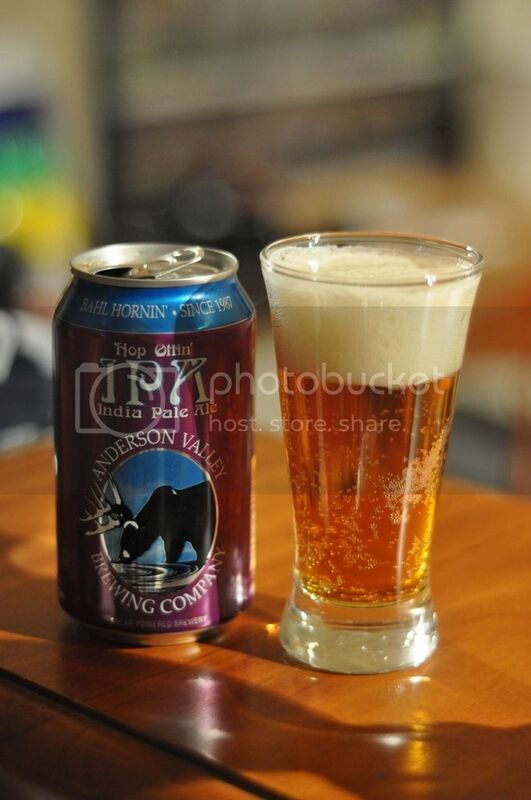 We however often have a couple of pre-drinks at mine, and this week we sampled the Anderson Valley IPA in both bottle and can form. This is a an American craft brewery, which produce alot of good beers, the Summer Solstice also in a can is a wicked beer! 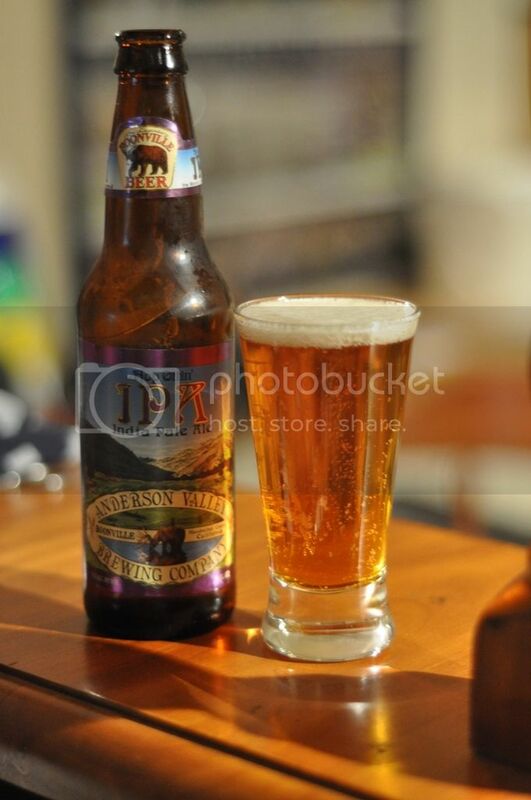 The brewery is in California but is up in the sticks somewhere, as the back of the bottle shows. It is written partly in Boontling, the local dialect of the people of the Anderson Valley the language apparently developed in the 1800's sometime. The label also promises lots of hops, so I'm really looking forward to this IPA, it's one of my favourite styles. So to make this a true blind tasting we had my lovely girlfriend Lizzie pour these for us thinking that they would look similar and as such it would be down to our powers of perception to determine which one was which. However it was pretty obvious straight away, to me at least, which was which. The head on the beer poured from the bottle was pathetic, while the can beer had a big thick head. The colour of the can beer also looked darker. The lacing of both beers was quite good, but I'd personally much prefer the look of the can beer. The flavour difference in these two beers was amazing! The bottle beer was a flatter beer with less hop characteristics, it also had this very unusual aftertaste. It seemed, somewhat ironically, metallic... Make of that what you will. The can on the other hand had excellent carbonation and amazing floral hops. The aftertaste that made the bottle beer hard to drink was not present in the can at all. In a can this beer is spectacularly hoppy and incredibly tasty. 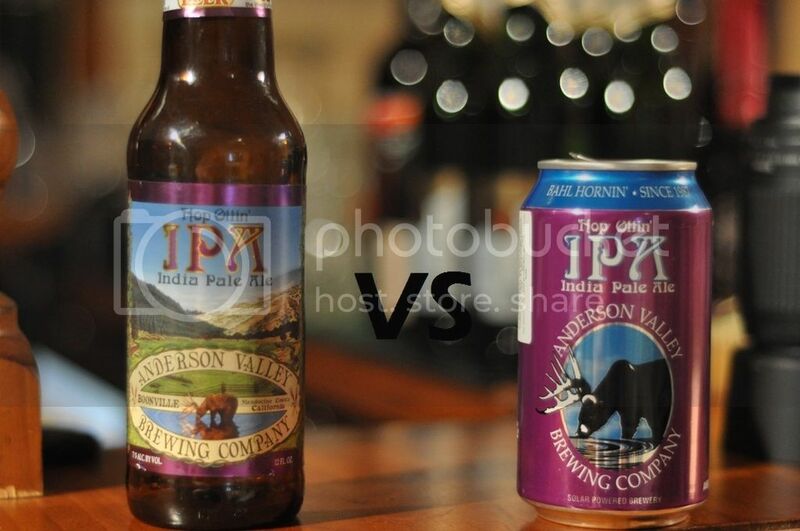 As Jack put it, it's like these are two different beers, thats how different they are! The bottle was hard to drink, because of this strange metallic aftertaste and both of us had to drink it first so we could finish on the can. The can was a fantastic beer, it's a very hoppy IPA and obviously won't appeal to everyone but those that like their hops this is the beer for you! Only buy this beer in a can though, it clearly can't handle the travel in the bottle. The can better protects the beer and preserves the hop taste for us to enjoy here in Australia. Another reason why to buy imported beers in cans! 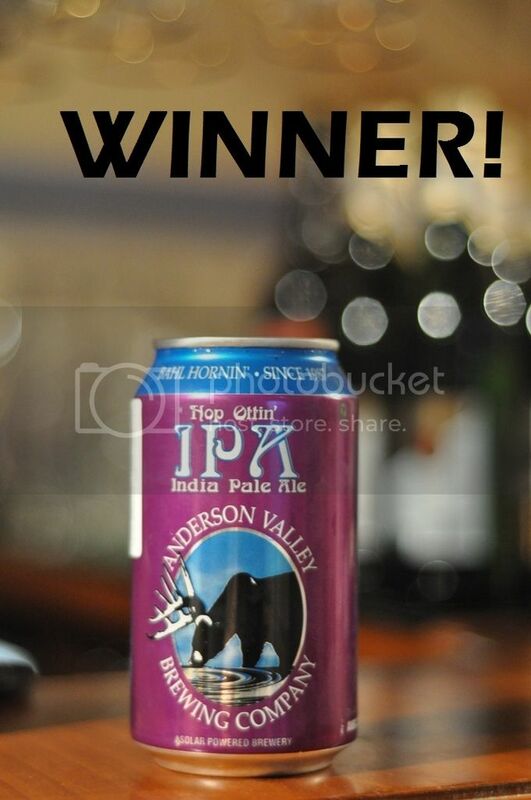 Victory to the can! !